Eric: I was introduced to databases with Oracle back in college. I was fascinated by how we can store data and retrieve it instantly. After college, I worked as a back-end and front-end developer in many companies that used RDMSs. Most of these companies couldn’t afford the cost of an Oracle database, so (back in 2003), I started with MySQL version 3. Over the years, MySQL improved, and I had to keep up. This lead to my decision to get my MySQL 5 Developer Certification in 2009 (https://www.greenways.us/About/candidates.php?exam=3). Percona: Your talk is titled “MongoDB for a High Volume Logistics Application”. What high volume logistics application are you working with, and what issue were you facing that required a database solution? Eric: We are not using any third-party software, we built in-house software that accommodated our specific needs. We are working with multiple companies (if you prefer, warehouses), and each of them has their own specific standards and formats. Storing data into MySQL might seem like a good idea at first, but querying data turned out to be painful and very slow. 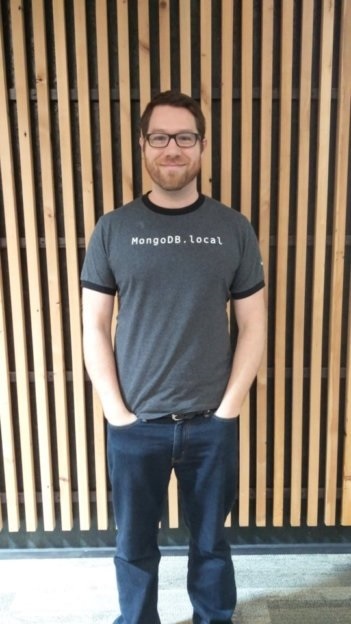 This is why we chose MongoDB. We can simply import all these documents without constantly “ALTER” our schema. This gives us the flexibility we need when we need to process any information we received. Percona: Why a non-relation instead of a relational database? Eric: MySQL is great, don’t get me wrong there. But MongoDB offers manageability and a Dynamic schema that fit our needs. Every business is different, and have their own format. We cannot enforce a specific data structure, so we need a solution that can be adapted instantly without frequently updating our database schema. This is why MongoDB provides the perfect solution to store any information or documents our clients and customers are sending to us. Eric: This session talks about what we did to improve our system. The important thing here is this session can be applied to any situation or any type of business. People who attend this session will understand how MongoDB can efficiently store, retrieve and manage document-oriented information. In addition, they will learn — and more importantly, understand — how to manage document-oriented data and how it is a solution that can enrich their application potentials. Eric: I am looking forward to a very exciting Percona Live this year. When I saw the schedule, I wasn’t sure what to attend. There are so many great talks about scaling, optimization, monitoring and security. These are my “go to” keywords, and they are everywhere this year! Want to find out more about this Percona Live 2018 featured talk, and MongoDB? 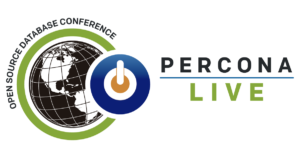 Register for Percona Live 2018, and see his talk MongoDB for a High Volume Logistics Application. Register now to get the best price! Use the discount code SeeMeSpeakPL18 for 10% off.